Dr. Guillory is the first physician to use image guided FESS as well as doing procedures without the use of injections in favor of topical anesthesia. Please call (318) 321-5454 or submit the Email Form for more information or to schedule an appointment. Dr. Guillory’s mission is to provide unsurpassed medical and surgical services, while maintaining convenient, efficient, and pleasant patient care. We offer a variety of services and treatment options for various medical conditions including the newest, minimally invasive sinus procedure called Balloon Sinuplasty which can now be done in the office setting using a needleless technique. 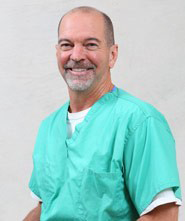 Dr. Guillory is the first physician to introduce Endoscopic Sinus Surgery to Alexandria in 1987 and image-guided technology to Central Louisiana in 2005, which allows for a more thorough and safe surgery. He continues to stay up to date on the latest techniques and establish himself as a leader in medical advancements. "In medical school, I found that I really enjoyed studying the anatomy and systems of the head and neck. Even today, I find the care of the ear, nose, and throat - from medical management to surgery - to be both interesting and challenging. But what is most interesting and challenging, and rewarding, is that I get to help others. I am very fortunate to truly enjoy what I do, from the technical aspects to the personal human interaction. This is, after all, a very human undertaking." "For me, compassion and lightheartedness are as important as keeping a professional bearing and striving for the best possible results. I want my patients to leave here knowing their options, understanding their treatment, and knowing what the next steps will be. I run on time, because I want them to know that I respect their time. And I want them to experience the improvement in their quality of life. This is why I became a physician, and it's what keeps me devoted to being the best doctor I can be."